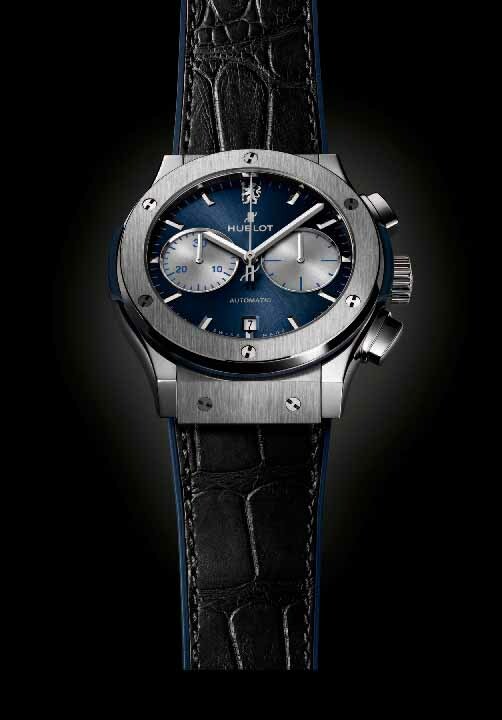 Hublot Classic Fusion Chronograph Chelsea. The official launch of the new timepiece was held at the Premier League Champion’s Surrey training base with Ricardo Guadalupe CEO of Hublot and Christian Purslow, Managing Director of Chelsea FC. Chelsea players Nemanja Matic, Cesc Fàbregas, Eden Hazard, Pedro and Bertrand Traoré led the guests in a simulation of precision with an exclusive football challenge. Hublot states that, the new timepiece perfectly expresses the quality, tradition and search for excellence that unites both organizations at the same path. Hublot Classic Fusion Chronograph Chelsea is offered in a 45mm satin-finished and polished titanium case and bezel, and is powered by the in-house movement Calibre Ref. Nr. : HUB1143, an automatic chronograph movement that provides the watch with twin counters at 3 and 9 o’clock, a date window at 6 o’clock and a 42- hour power reserve when fully wound. The highly decorated movement can be seen through the watch’s sapphire case back. 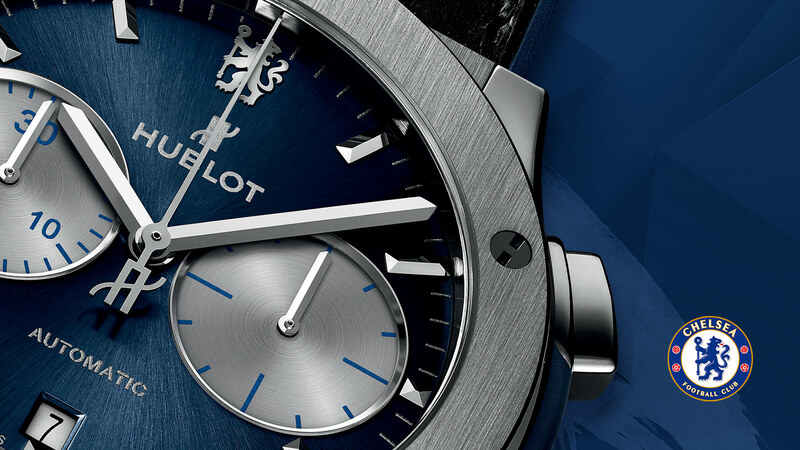 The Chelsea lion logo is located at 12’o clock and also on the crystal case back as well. The dial is blue, inspired by Chelsea colours, and has a sunray satin finish and a hand-applied Chelsea FC Lion appliqué at 12 o’clock. 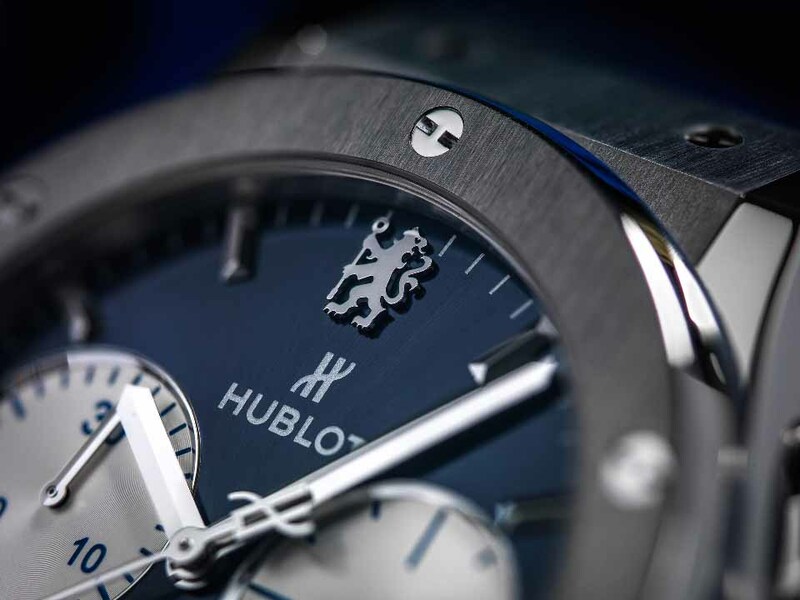 The Hublot CFC Watch will be limited to 200 pieces.